On Oct. 17, 2014, Abbas called for violence; official PA TV then rebroadcast it over 3 weeks - 32 times. During that month Palestinians murdered 12 Israelis. On Dec. 6, 2017, the day US President Trump recognized Jerusalem as Israel's capital, official PA radio and TV started rebroadcasting Abbas' 2014 call for violence... and in the next 4 weeks - rebroadcast it 41 times! 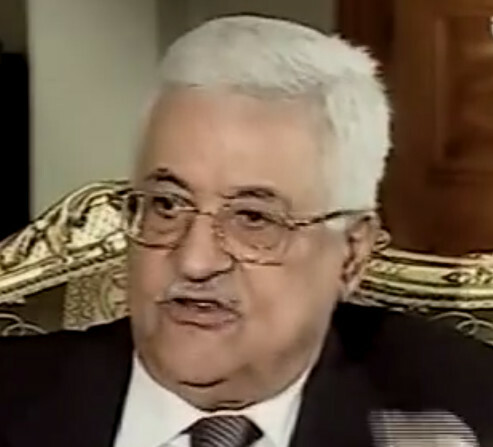 Abbas' speech originally aired on Oct. 17, 2014 and was broadcast a total of 29 times that month. It was also broadcast 3 times on Nov. 1 and on Nov. 4, 2014, and once on Nov. 11, 2015. It was also posted on the official Fatah Facebook page on July 15, 2017 and on Nov. 28, 2018. This excerpt from Abbas' speech was broadcast on the official PA radio station The Voice Of Palestine and on PA TV dozens of times in Dec. 2017 - 2018, most recently on April 3, 2018.